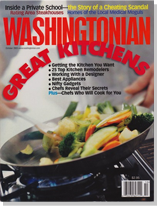 Barbara Bolvin Rated One of "Ten Favorite" Personal Chefs in the Washington Area! "Of all the lasagnas I tasted, I preferred Barbara Bolvin's spinach-stuffed lasagna ruffles. She's kid friendly too." Welcome! Greetings from Chef Barbara Bolvin. 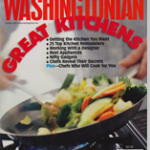 Gourmet Your Way was started in 2001 to bring delicious, personalized, nutritious, and healthful food to those individuals and families whose time constraints don’t allow them to cook well-balanced meals themselves. At one time, personal chefs were employed primarily by the wealthy – this is no longer the case. Today, personal chefs are employed by working individuals and families just like yours. In addition to regular meal planning and cooking, Gourmet Your Way also does dinner parties, food and wine pairings, informal or formal gatherings and other special events. Your total satisfaction is our standard and you will find the pricing very competitive. Serving Maryland, Virginia, and DC. Let me give you the free time of having a personal chef do your menu planning, grocery shopping, cooking and cleaning. Want to give the gift of food? Give your loved ones, friends, or colleagues a Gourmet Your Way gift certificate. Call for details! Often people have questions on how this all works – just give us a call (301) 924-6656 or contact me via email.